DETROIT — Marriott International plans to remove plastic straws and drink stirrers from all of its 6,500 hotels and resorts worldwide by next year. The world's largest hotel company said Wednesday that the move will eliminate approximately 1 billion straws and 250 million stirrers by July 2019. Bethesda, Maryland-based Marriott says the year-long timeframe will let hotels deplete their existing supplies and identify alternatives to plastic straws. Customers will be given alternatives upon request. Marriott is the latest big company to ditch plastic straws. Starbucks and American Airlines announced plans to eliminate plastic straws last week. Hilton Hotels and Hyatt Hotels Corp. have also said they plan to stop using plastic straws by the end of this year. The push to ban the straws gained traction after a viral video in 2015 showed rescuers removing a straw from a sea turtle's nose. Plastic straws are too small and lightweight to be easily recycled, and many wind up in the ocean. Some Marriott hotels have already begun eliminating plastic straws. In February, more than 60 Marriott hotels in the United Kingdom banned them. Hotels in Costa Rica, Hawaii and Australia have made similar moves. The JW Marriott Marco Island Beach Resort in Florida was using 65,000 straws each month before it eliminated them in March, said Amanda Cox, the resort's director of sales and marketing. Cox said the 810-room resort — which has 10 restaurants — now puts biodegradable paper straws in its pina coladas and sugar cane stirrers in its mojitos. It serves other cocktails and non-alcoholic beverages without straws, but will provide paper ones upon request. Cox said the move was a natural one on the island, which is a nesting ground for loggerhead sea turtles. She said resort guests and convention planners had been asking about the hotel's environmental practices. "Guests choose to vacation here because it's a tropical paradise," Cox said. "We have to protect it the best we can." Cox said banning straws has gone over well with patrons, partly because the resort has posted signs explaining why straws aren't offered. The resort had anticipated that half of patrons would request paper straws for their ice tea and other beverages, but Cox said only about 20 percent have made that request. 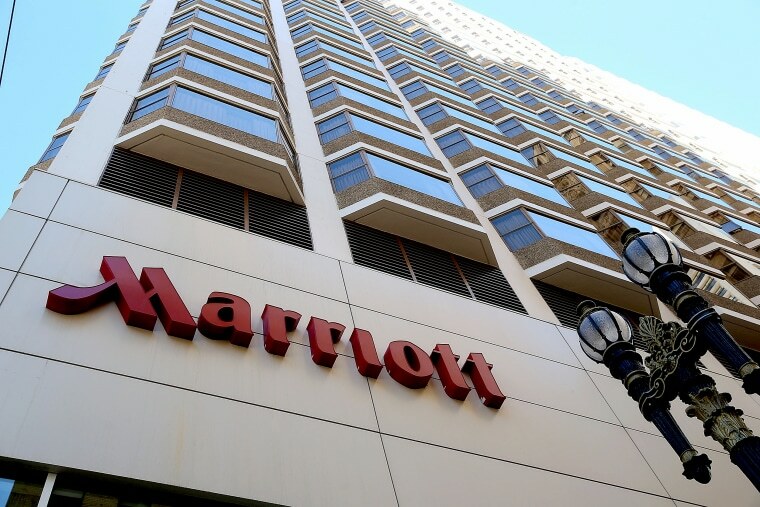 Marriott has made other moves to reduce its environmental footprint. Earlier this year, it began replacing small bottles of shampoo and conditioner with in-shower dispensers at many of its hotels. The company says it will have the dispensers in 1,500 hotels by the end of this year, which will eliminate 35 million plastic toiletry bottles annually.